Do you think it is too soon to be thinking about Christmas? It might be, and as a rule it’s best to get Halloween out of the way first. I’ve heard that one should wait at least until the end of November and truthfully, that is a rule that I try to adhere to. However, this year I am having a hard time holding back the Christmas spirit. The stores are always ready to start the advertising earlier and earlier every year. Christmas is their biggest income generator and it gives them a focal point. That’s their issue and not really mine. I am not a big spender at any time of year and I have a feeling that this year is going to take more of our cash to help those less fortunate. The homeless shelters are already full and the weather is still warmish. The spring floods have caused a shortage of affordable housing, leaving a lot of “working poor” without a place to live. I wanted to put up the Christmas lights about a month ago, but have held back. They will be going up the first warm day after Halloween. 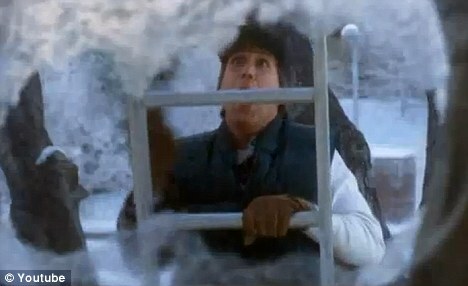 I laughed too often when I was delivering mail as people on my route were up ladders in -20°C fumbling with tangles of lights. Just a side note, a guy that has been putting up lights in -20°C for a couple of hours has almost no sense of humour at all. I’m sure that I would have been punched if not for the fact their hands were too cold to make a fist. Needless to say, I didn’t get a tip from those houses at Christmas. Today I was at the second hand store and they have some Christmas ornaments and baubles out on a shelf or two. Last year I picked up a cast iron tree stand. It doesn’t have a water reservoir, so it isn’t really very good for holding Christmas trees the way we do things now. I the old days in Europe, the tree would be brought in the day before Christmas, decorated Christmas Eve and removed the day after. Of course we are talking about fresh cut trees that don’t have a chance to dry out in two days, even considering that the “lights” were candles. Today, you see trees in windows on November 1st and they stay on display for December and most of January. Those trees are artificial, but for the “purist”, who insist on a real tree, they need to have a constant supply of water to keep the needles on at least until Christmas. I was involved in the Scout Tree Lot for a number of years and the trees were cut, wrapped and frozen sometime in September for shipment in mid to late November. Even frozen, they will dry out and by the time the “purist” sets up their tree, it’s dropping needles every time someone walks by. 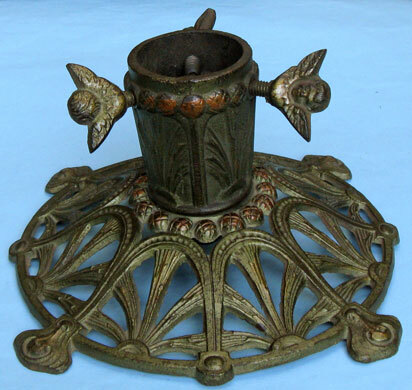 There was another cast iron tree stand at the 2nd hand store today and of course I bought it. I brought it home, cleaned it, put on a coating of wax and waited anxiously for Louise to get home to show her my prize. Thankfully, she is as nuts as I am about Christmas and was glad to see it. I imagine it will bring a few bucks for the kids at the estate sale. It is just a cool thing to have around. No…really! Nope, it isn’t too soon to be thinking about Christmas! Not for me anyways.